Replaces the Trumpeter supplied vinyl tyres. The F-117 was an amazing aircraft in its day and was the result of Lockheed's Skunk Works in Burbank, California. 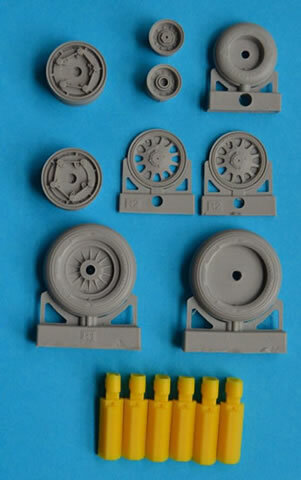 For many reasons the designers went with components from other aircraft that were in service at the time. The F-117 contained components from the F-16, F-18, the main wheels from the F-15E and the nose wheel from the A-10. 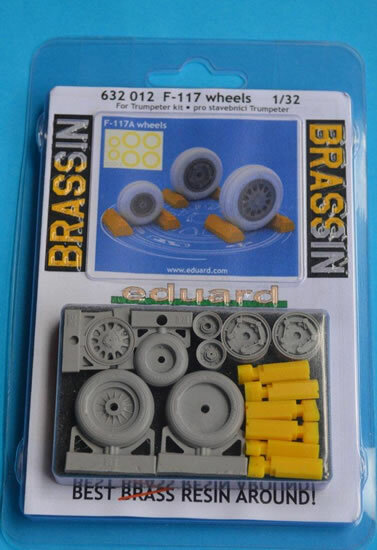 First up I must express my thanks to Eduard, in all my pervious BRASSIN reviews I have commented upon a lack of a painting guide in their releases. 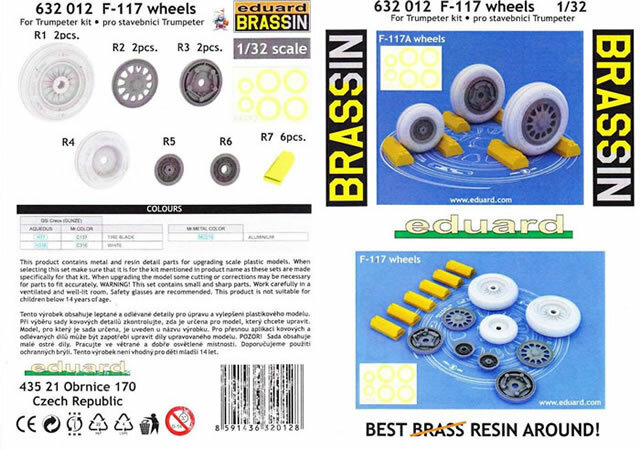 Well no more, in the latest batch for review from Eduard, all the latest BRASSIN contains a painting guide. Thank you! 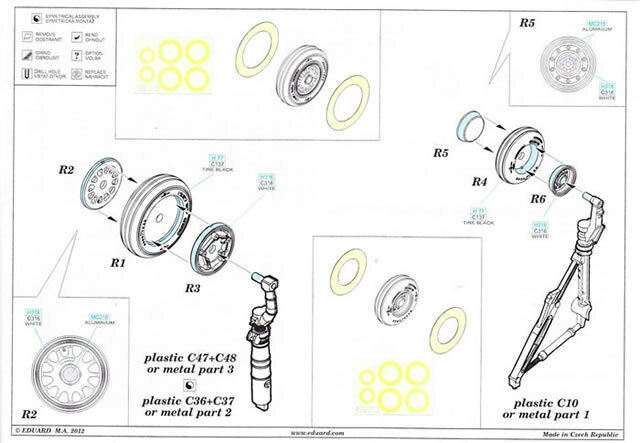 This BRASSIN is a drop fit replacement for Trumpeter's vinyl tyres. If you don’t like vinyl then this Eduard set is for you. 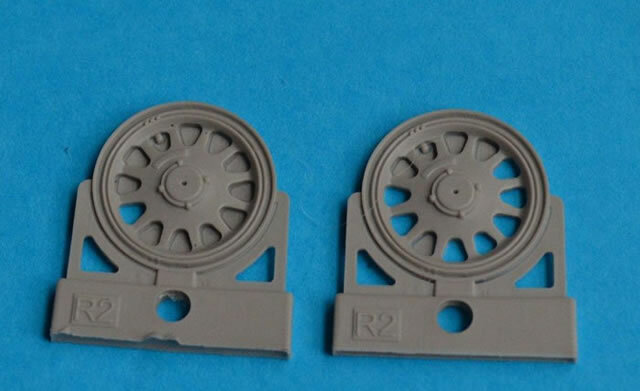 There is a little clean up on the main wheel covers otherwise once removed from the casting blocks they are a direct replacement for the kit parts. Another nice addition is the yellow resin chocks. 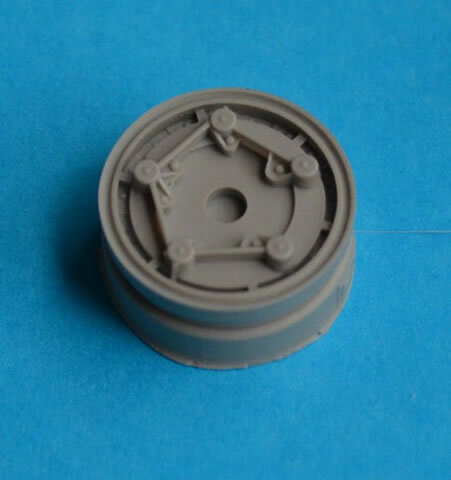 Nicely moulded detail, highly recommended.